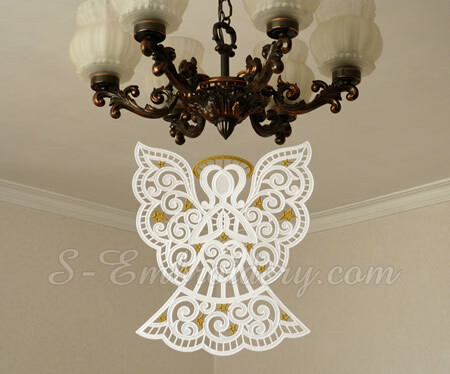 This free standing lace Christmas ornament will produce a fine and large window decoration. 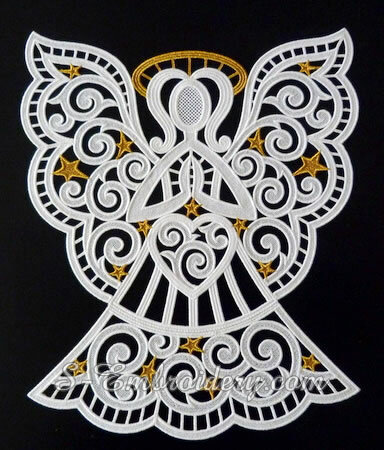 The size of the finished angel would be approximately 401 x 338.6 mm (15.8 x 13.3 inches). 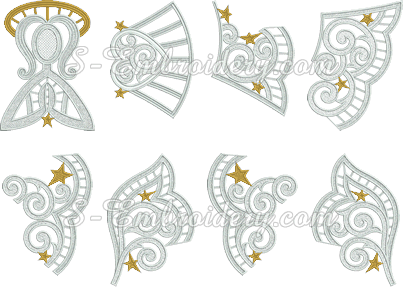 The design is made up of 8 parts. Each part will fit in 5x7 (130x180) hoops. 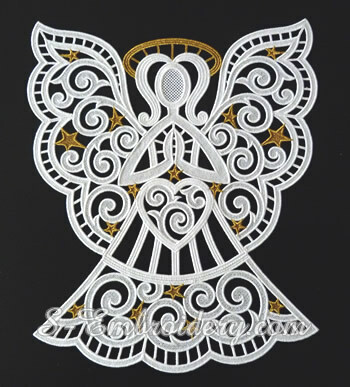 Putting the Christmas ornament together is not complicated and is covered in the instructions we provide with the design. 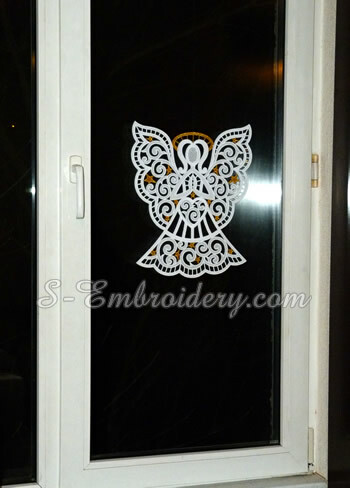 You receive 8 machine embroidery files in one of the supported formats, as well as 2 PDF files with design information and instructions. Note: In addition to metallic and viscose thread you may also need a couple of small beeds and metallic or plastic clips.